We all know and believe that the very first impression is the last impression so is the case with the decor of your salon, office, hotel and other places like these. And what the visitors come across while entering such places is a reception desk and it should be as beautiful, welcoming and impressive in looks as the person sitting behind it. So a reception desk should be gorgeous, stylish and functional and this DIY pallet reception desk covers all these attributes quite successfully. And being made from the recycling pallets it would be highly durable and sturdy in nature but extremely cheap in price. The reception desk has a multi of set up layers of drawers and shelves to let your hold your stuff like phones, register, money, laptops etc conveniently and safely. 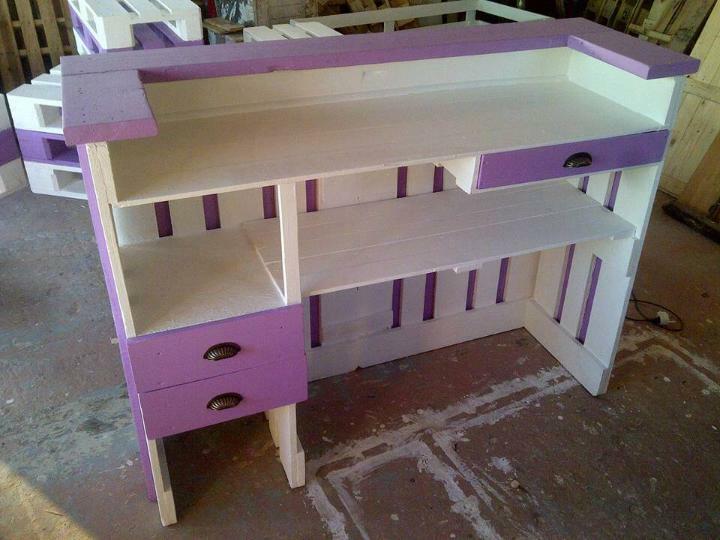 And to make it look truly an eye catching and modern in looks it has been stained in the dazzling hues of purple and white. 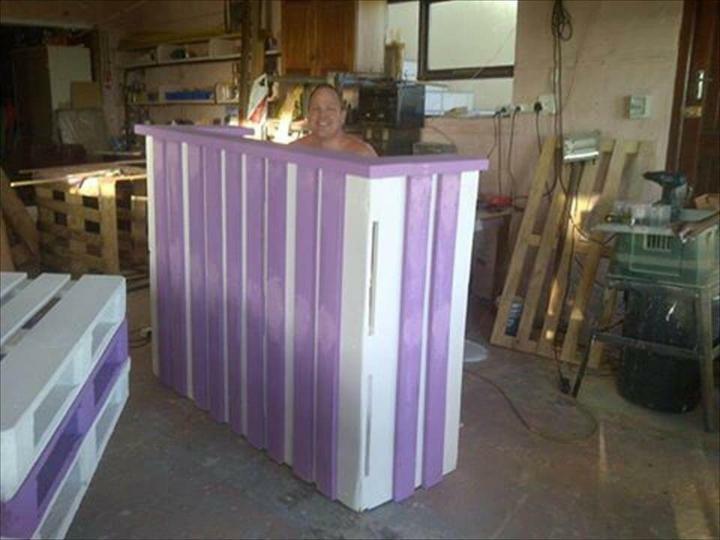 Either we go to a office, salon or a hotel our first destination is the reception desk to ask for information, to inquire any confirm the appointments so here is a gorgeous reception desk that you can make for free from the pallets. The reception desk is quite easy to build just grab the pallets and your tools and then get the slats out of the pallets which would be yoked together nicely to form this functional and gorgeous desk for the commercial spaces. 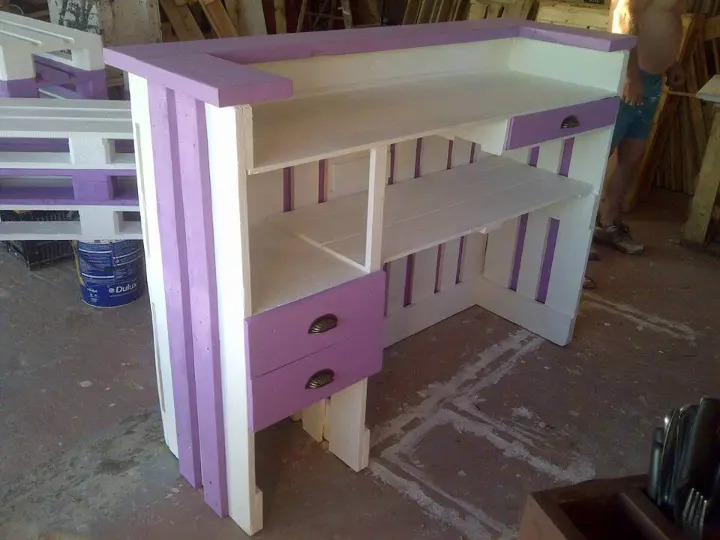 The drawers and the shelves would make you hold and store your necessities on them while the white and purple fusion of the stain would make a very impressive look of the desk to win your hearts and praise.